HONOLULU (Feb. 22, 2016) - The first Honolulu Biennial will take place in Spring 2017, bringing a wide range of international artists to Hawai'i, to be exhibited alongside local artists and to engage with the rich cultural diversity of the Hawaiian Islands. Curated by Fumio Nanjo, director of Tokyo's Mori Art Museum and an internationally recognized scholar of contemporary art, the Honolulu Biennial will include indoor works as well as outdoor installations presented across a range of community, historic, public and unconventional spaces. On March 8, 2016, the Biennial will kick-off a special preview program with an installation of Yayoi Kusama's multi-piece sculpture installation Footprints of Life, presented in partnership with The Howard Hughes Corporation® and Ward Village®, the company's 60-acre master planned community in the center of Honolulu. The selection of Kusama's work as a preview piece reflects the vision of the founders to celebrate and engage art and artists from the Americas, Asia, and the Pacific, while the installation, which will be held on the grounds of the iconic IBM building at Ward Village, demonstrates their commitment to providing accessible artistic opportunities for local residents and visitors alike. 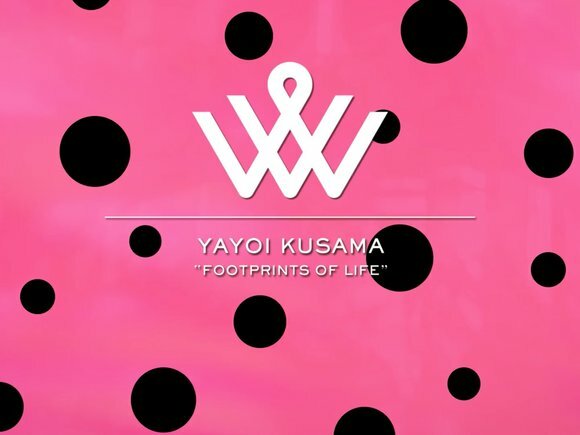 The March 2016 installation of Footprints of Life is the first time a work by Yayoi Kusama will be shown in Hawai'i, and the artist will also be creating a new, site-specific work specifically for the Biennial next year. 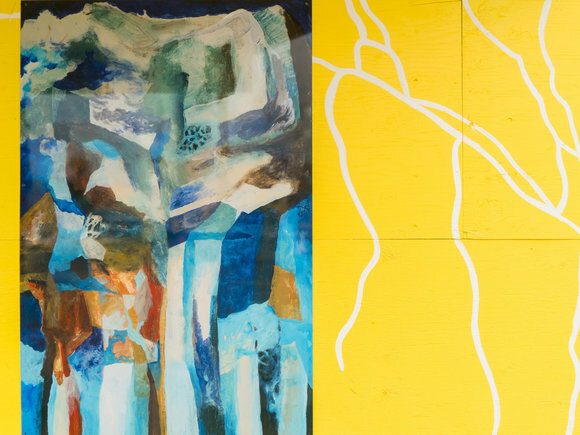 "The confluence of our geography, international cultural influences, and exceptional climate make Hawai'i the perfect place for a major art biennial," said Isabella Ellaheh Hughes, a co- founder of the Honolulu Biennial Foundation. "We will be able to present an exceptional array of outdoor installations as well as indoor exhibitions, and Fumio is a visionary curator to be working with, ensuring a diverse and compelling program that will highlight local talents alongside international ones. My colleagues and I are also extremely grateful to Ward Village for their early support, making it possible to bring Kusama's sculptures to Honolulu." MAP Office, the multidisciplinary platform devised by Moroccan-born Laurent Gutierrez and French-born Valérie Portefaix. Based in Hong Kong since 1996, MAP Office uses different art forms to "map" both physical and imaginary territories. Their work has been show around the world, including at Museum of Modern Art and the Guggenheim Museum (New York), the Georges Pompidou Centre (Paris) and the Ullens Centre for Contemporary Art (Beijing). Samoan-born, New Zealand-based Yuki Kihara, well-known for her interdisciplinary works which explore the relationships between gender, race, culture, and politics. Kihara's 2008 exhibition Living Photographs at the Metropolitan Museum of Art was the first solo show at the Museum for any New Zealand artist. Artists Keith Tallett and Sally Lundburg develop work together under the name Les Filter Feeders. 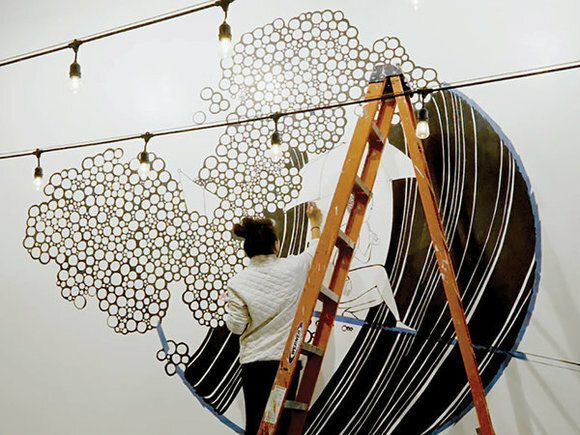 They use art to explore shifting cultural, environmental, and social landscapes, especially in their native Hawai'i. Kusama's 15-piece sculptural installation uses the artist's iconic polka dots and characteristic bold colors, contrasting bright pink with black polka dots. These black-spotted, pink shapes symbolize the energy of life, and harmony between art and the environment. The site- responsive nature of this work enables it to change configuration based on its exhibition sites, exemplifying Kusama's invitation to the audience to examine and reconsider their own engagement with public spaces that are often taken for granted. The versatility of Footprints of Life has allowed this work to be shown both on land and floating on water, as in Taiwan's 2013 Taoyuan Land Art Festival and the 2011 Aichi Triennial, respectively. The installation at Honolulu's Ward Village places Kusama's piece in an iconic location known by local residents and visitors alike--the courtyard of a building designed by esteemed architect Vladimir Ossipoff--that is in the heart of a growing, forward thinking community. 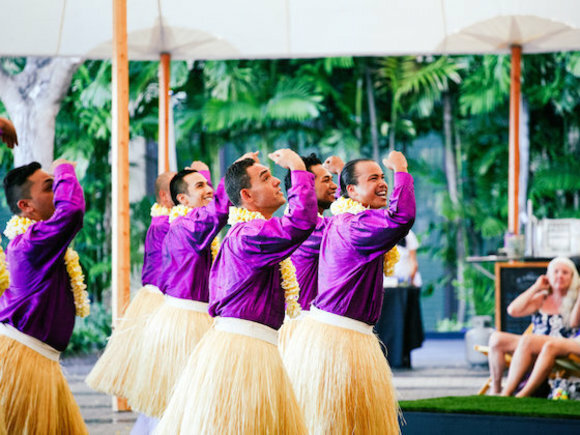 "The Howard Hughes Corporation is excited to host Footprints of Life at Ward Village. Bringing this world-renowned artist to Hawai'i for the first time as a free exhibit is an incredible opportunity for the state," said Todd Apo, Vice President of Community Development at Ward Village for The Howard Hughes Corporation. "Personally, I am excited that it will provide a unique educational opportunity for our children without them having to travel thousands of miles to experience it. The incorporation of recognized artistic and cultural experiences is a key part of the Ward Village community. 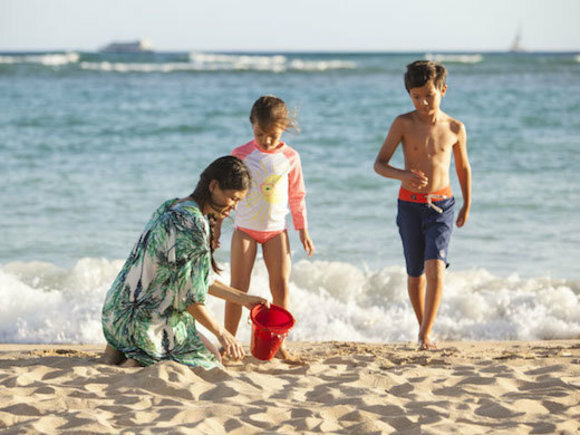 While we continue to invest in the physical development of Ward Village, we remain dedicated to the art and culture of Honolulu, and are thrilled to showcase that dedication with the exhibition of Footprints of Life at Ward Village." A robust series of free public programs will support this preview installation, including weekly tours of the work that will introduce audiences to Kusama's prolific practice; art-making workshops for kids run in collaboration with Art Explorium; film screenings on Kusama's practice and celebrating other contemporary artistic filmmakers from Japan; a guest lecture on Kusama by Emily J Sano, Ph.D., Director Emerita, Asian Art Museum of San Francisco and Coates- Cowden-Brown Senior Advisor for Asian Art, San Antonio Museum of Art, as well as an artist talk by Charlton Kupa'a Hee, a Native Hawaiian, O'ahu-based artist, whose practice is very much in- dialogue with this Kusama installation, amongst other programs. Please visit wardvillageshops.com/kusama for more information about the Footprints of Life installation at Ward Village, as well as dates and times of accompanying programs. Born in 1929 in Matsumoto, Japan, Yayoi Kusama is one of the world's most important, influential and active artists working today. Her practice encompasses an array of media ranging from painting, drawing, performance, film, sculpture, and installation, to fashion, poetry, and "happenings" (public spectacles). Repetition and pattern, often in the form of polka dots, coupled with an interest in the cosmos are recurring themes in her practice. The artist's poetic and rhythmic responses to the natural world and her own journey through life are reflected in the autobiographical aspects of her work. With a conceptual art-based practice, her work is in dialogue with some of the most important movements in the 20th and 21st centuries: pop art, conceptual art, feminism, Art Brut, abstract expressionism and minimalism. Through the celebration of contemporary art from the Americas, Pacific and Asian continent, the Honolulu Biennial Foundation (HBF) presents the Honolulu Biennial, which engages with the rich cultural diversity of Hawai'i and an international arts festival of local resonance. HBF operates throughout the year presenting a series of ongoing public programs and educational workshops for the community. The Honolulu Biennial debuts in Spring 2017 throughout various sites within the city and neighbor islands. 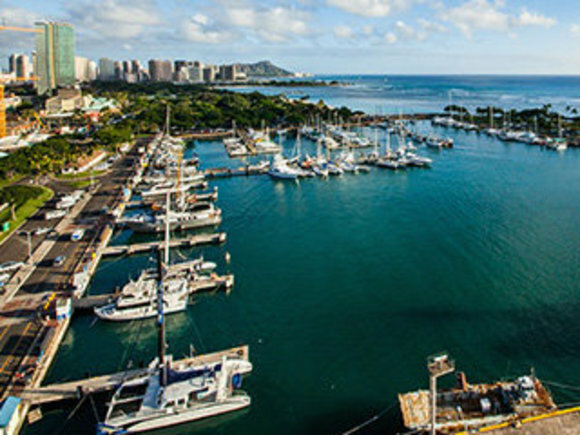 Developed by The Howard Hughes Corporation, Ward Village is a new 60-acre coastal master planned community in the heart of Honolulu between downtown and Waikīkī in the Kakaʻako district. Ward Village includes three mixed-use residential towers– Waiea, Anaha and A'eo – that are now under construction and will transform the popular shopping and dining district into a vibrant neighborhood that offers exceptional residences with incredible island and ocean views and a carefully curated mix of retail experiences set among dynamic public open spaces and walkable streets. 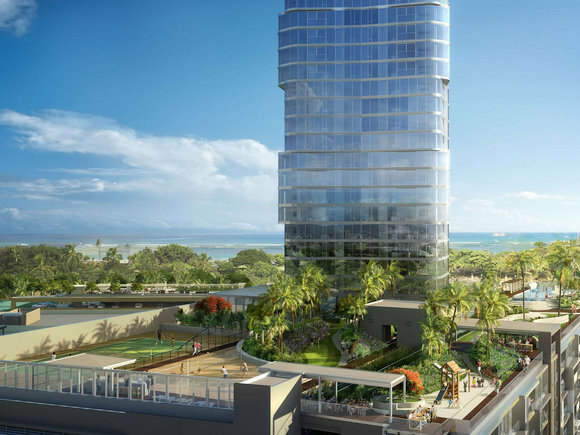 Waiea, which will open in late 2016, will include 174 residences and be home to internationally acclaimed restaurant Nobu Honolulu. Anaha, opening in 2017, will include 317 residences and the first Merrimanʻs restaurant on Oʻahu. Aeʻo will complete construction in 2018; it will include 466 residences and Oahu's flagship Whole Foods Market. This growing community includes two additional developments: Gateway Towers and Ke Kilohana at 988 Halekauwila Street. 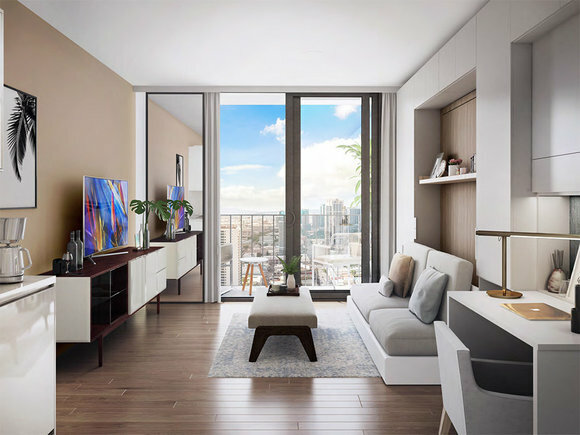 The extraordinary first building of Gateway Towers on Ala Moana Boulevard will bring the architecture of world-renowned architect Richard Meier to the Honolulu skyline. Ke Kilohana will launch its sales in 2016 and will bring housing targeted exclusively for local residents and a 23,000 square foot Long's Drugs to the neighborhood. The vision for Ward Village is consistent with the master plan approved by the Hawaiʻi Community Development Authority in 2009, which allows for up to 9.3 million square feet of mixed-use development, over 4,000 residences and over 1 million square feet of retail space. Ward Village is Hawaiʻi's only LEED-ND Platinum-Certified project and the largest neighborhood development in the country to receive such a prestigious certification. The Information Center and Residential Sales Gallery is located at the iconic IBM Building. For more information, visit www.wardvillage.com.